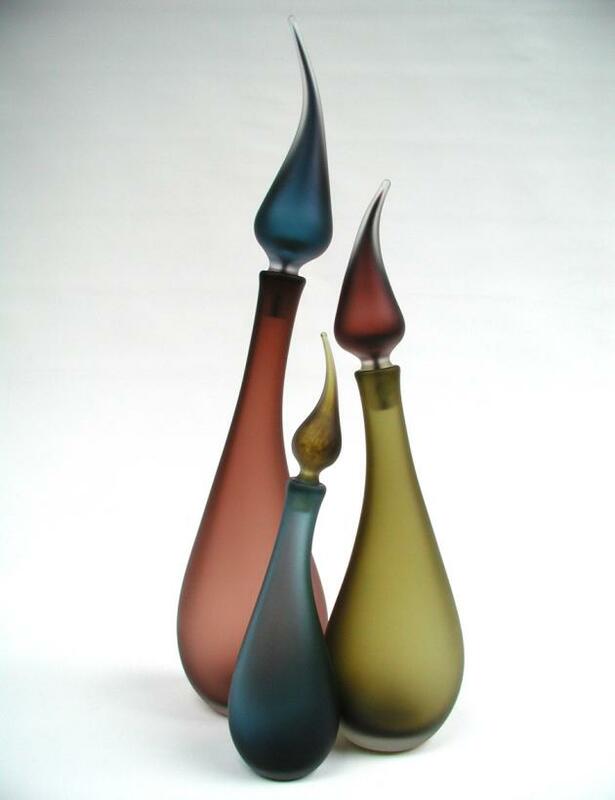 British glassmakers Louise and Colin Hawkins have their own studio (LoCo Glass) in the heart of Cirencester, England, where they produce their handmade glass creations. 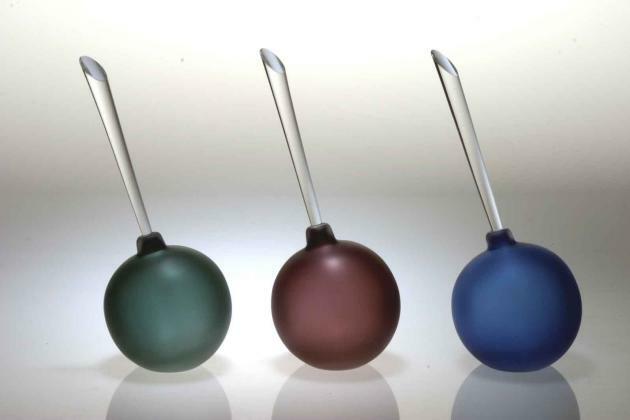 Each piece is hand blown and made in their characteristic style, using a variety of both traditional and modern techniques. “We aim to make work that is forward thinking, exciting glass for the modern interior with an emphasis on creative design and skilled craftsmanship,” say the Hawkins. 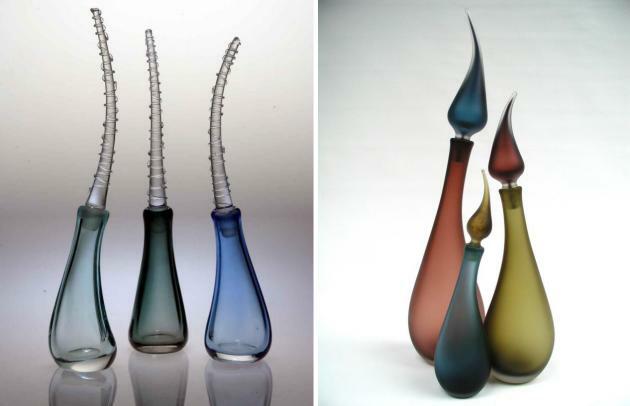 Seen below are some of their glass bottle designs. Visit Louise and Colin Hawkins’ website – here. 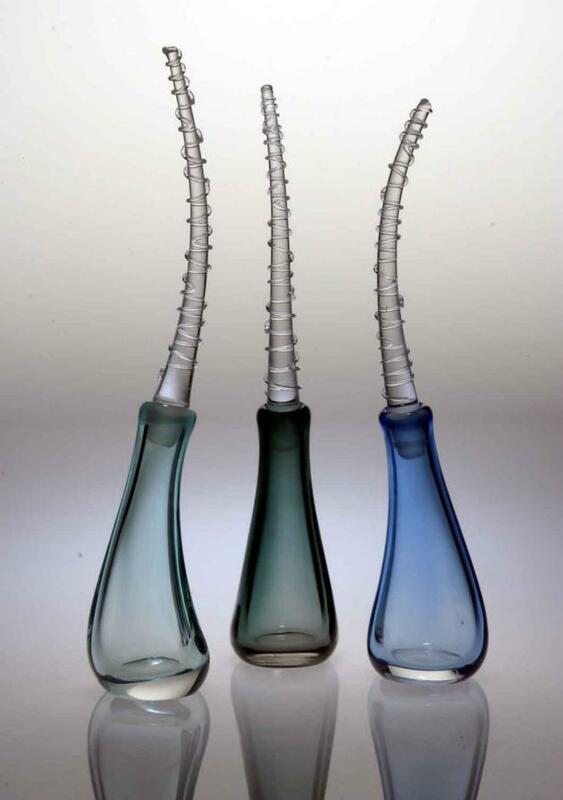 FLUTE – a delicate and elegant range of clear tapered bottles with coloured, blown stoppers. 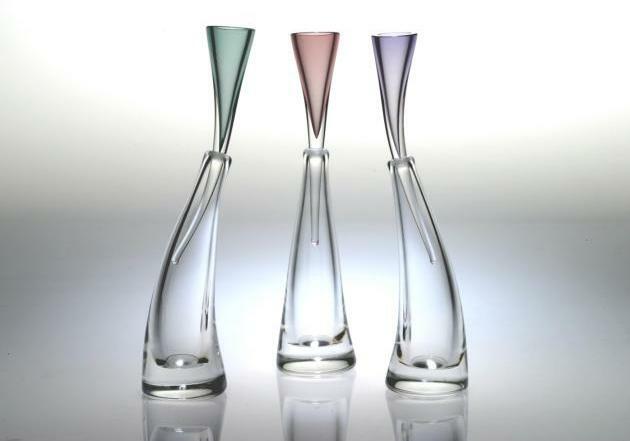 These flow from the neck and finish with a cut and polished rim. 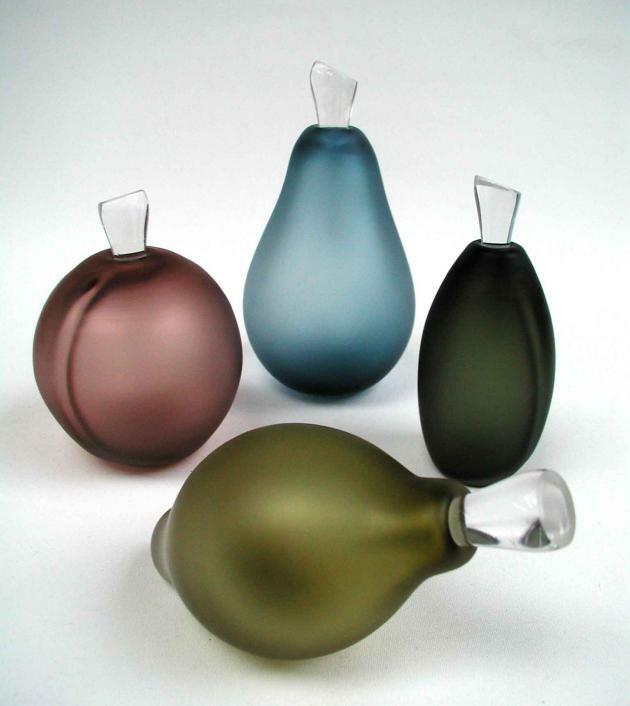 POMME – Designed around the ‘Toffee Apple’, these bottles are finished with a long elegant polished stopper. FRUIT – The fruit scent bottle range includes four different shapes: Peach, Pear, Plum and lemon, both decorative and functional, each bottle has a drop style stopper that has been ground with a flat stalk effect. HELIX – Bottles with straight stoppers that sparkle with a fine applied trail. Each is ground to fit it’s own base that is blown in a variety of jewel colours. FLAME – The flowers of the exotic bird of paradise plant were the original inspiration for these elegant scent bottles and decanters, available in various contrasting colour combinations.